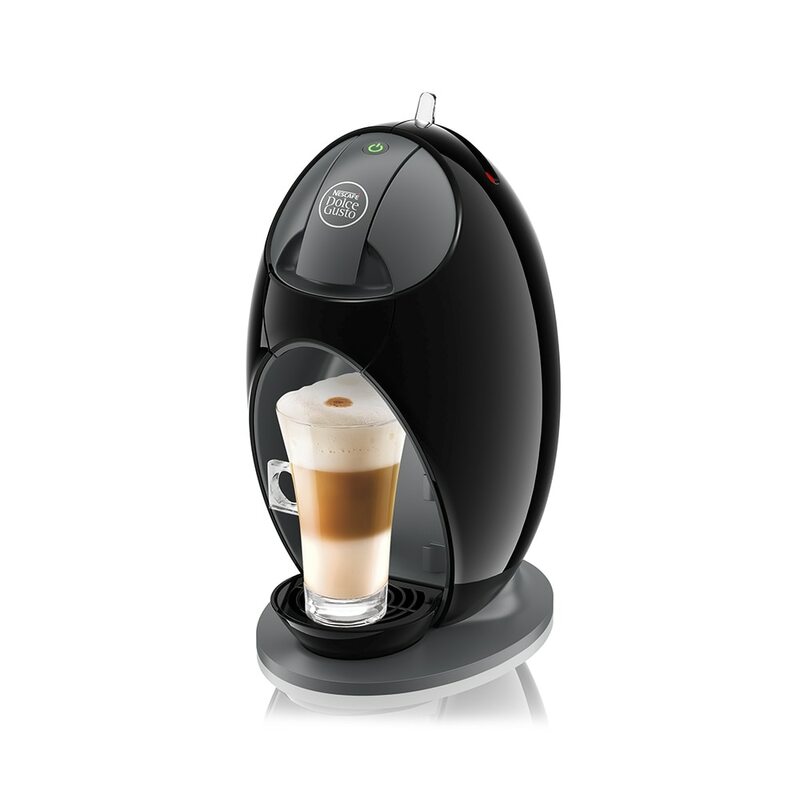 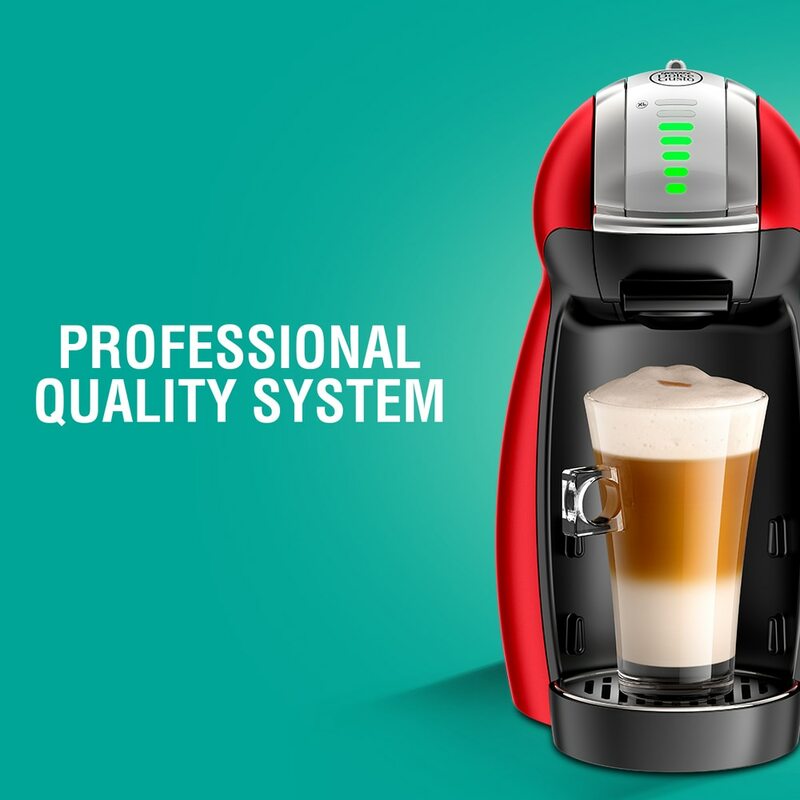 Discover NESCAFÉ® Dolce Gusto® Espresso Generoso, a well balanced medium roast coffee with an intensity of 7 out of 11. 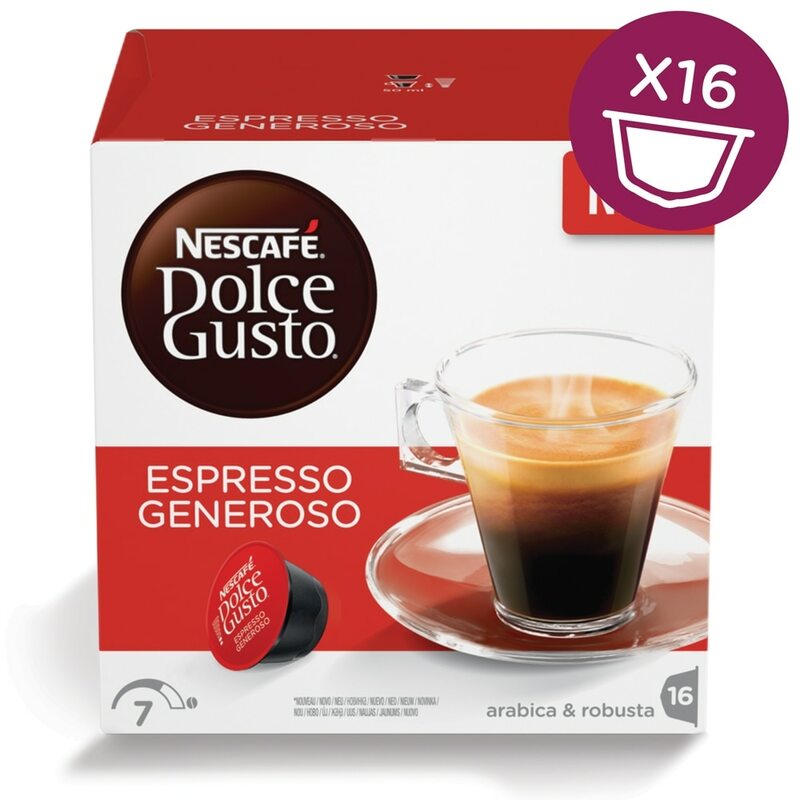 This Espresso reveals it’s generous personality with a velvety body and a particularly dense dark brown crema. 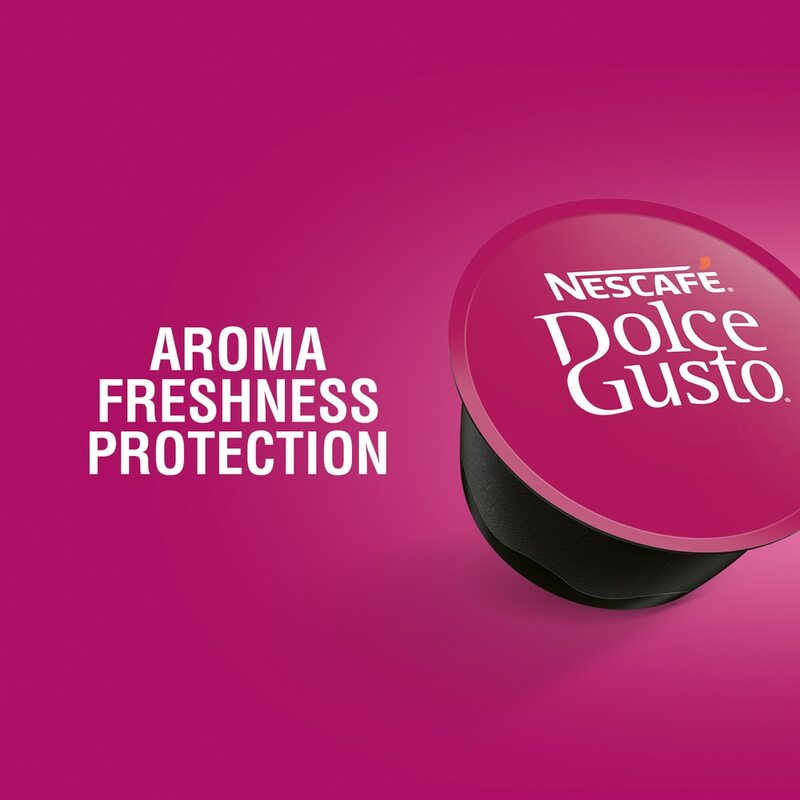 It’s round and rich flavor unfolds with fruity blackcurrant notes harmoniously combined with warmer woody & spicy notes, reminding of licorice sticks. 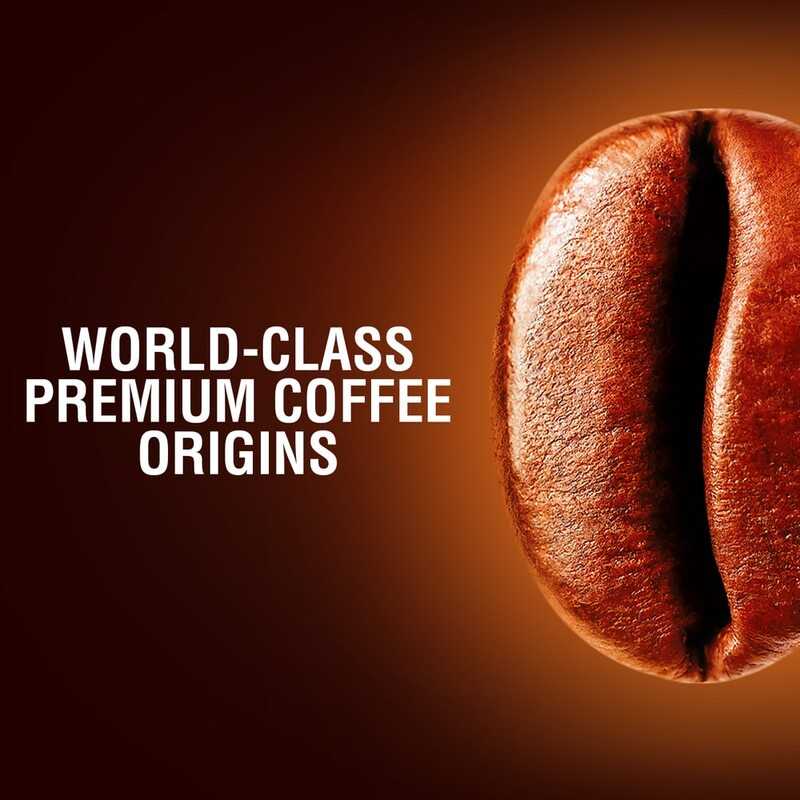 Our coffee creators have blended not less than 5 coffee origins, 2 South American arabicas and 3 African & Asian robustas, and expertly roasted them to fully preserve the richness of aromas of each origin. 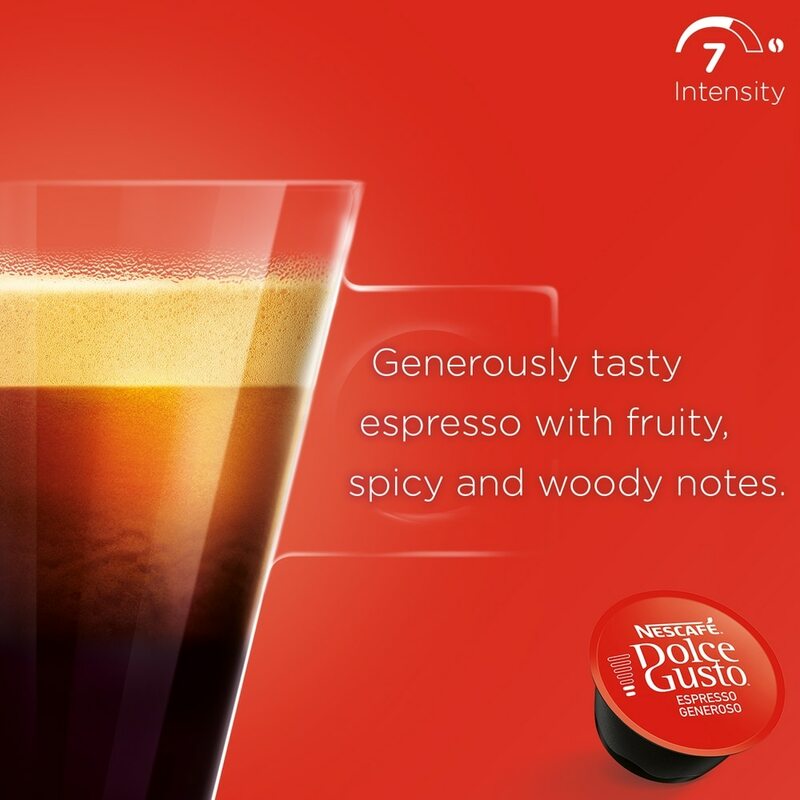 Enjoy a perfectly balanced and generous espresso, easy to drink all day long. 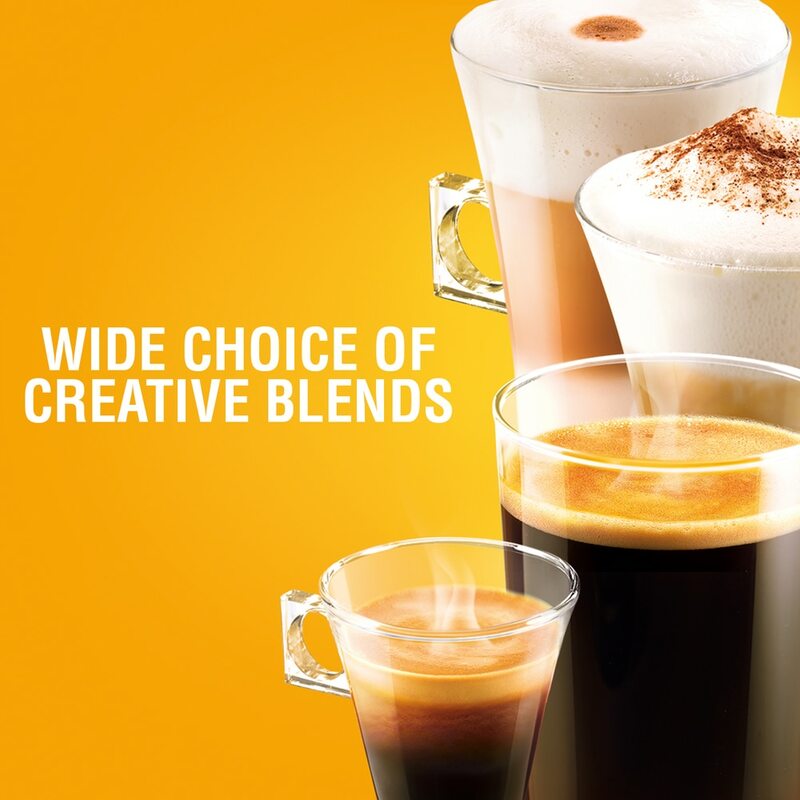 The whole coffee world in a sip. 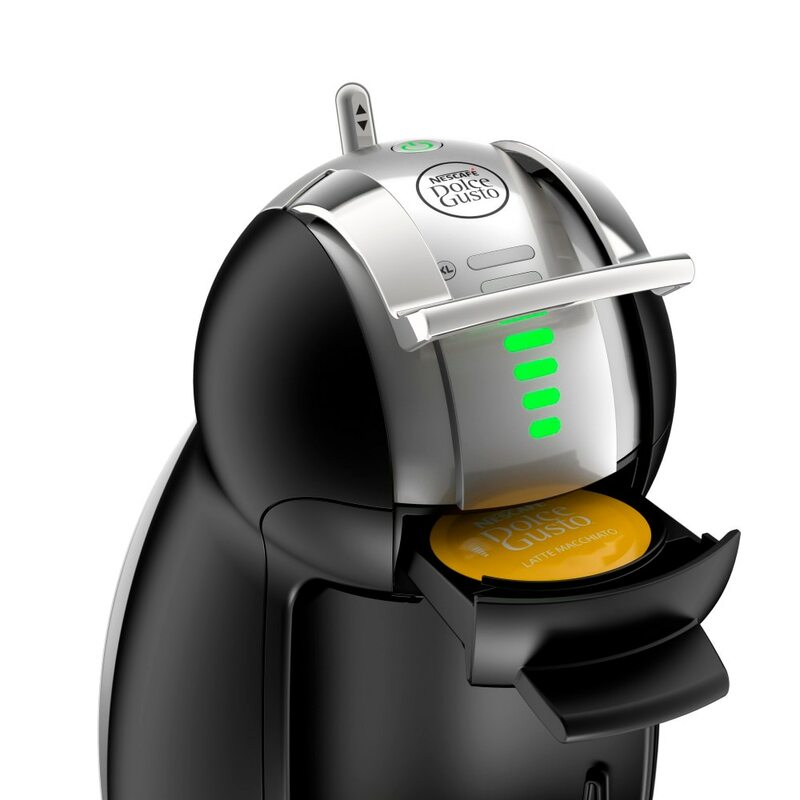 Simply slide your Espresso Generoso capsule into your NESCAFÉ® Dolce Gusto® machine and have your perfect Espresso Generoso ready right away. 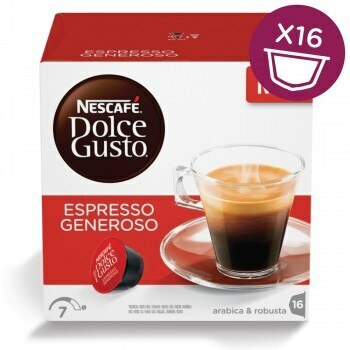 Each box contains 16 capsules designed for NESCAFÉ® Dolce Gusto® capsule machines and allows you to prepare 16 cups of Espresso Generoso.